For a flooring upgrade that offers your home timeless sophistication without the high price tag, visit The Floor Trader of Modesto to browse our extensive selection of luxury vinyl flooring. In Modesto, CA, and the surrounding areas, our clients have depended on our flooring showroom as their destination for stylish floors that combine lasting durability with low maintenance requirements. When you’re ready to update your home’s floors, simply visit our store at your earliest convenience to begin discussing your design vision with one of our experienced professionals. We take into account a number of factors when helping you determine the best option for your home’s floors, including your economic goals and lifestyle requirements. 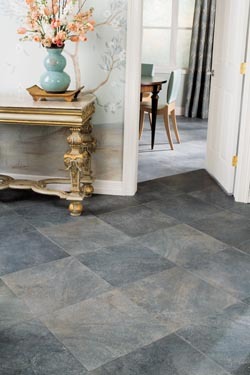 For living spaces that are home to a great deal of foot traffic, our luxury vinyl floors make a great choice for withstanding extreme wear and tear that would damage other floors. Their easy cleaning ability also makes maintaining a breeze, which saves you a great deal of time and effort in the long run. After we’ve helped you to narrow down our broad range of vinyl floors to the style that’s best for you, our professional contractors visit your property to finish the job with a luxury vinyl flooring installation. Installing a new floor requires a skilled expert with the knowledge and tools necessary to perform the job properly in a timely and effective manner. When our staff of experienced contractors finishes installing your new vinyl floor, you’ll be able to enjoy a renovated interior design that will look great for many years to come. The diversity of styles offered by our luxury vinyl plank flooring has made it one of the most popular options among our customers. While the pricing of natural hardwood is not economically viable for everyone, vinyl planks provide a similar aesthetic at a lower price. With options that match the appearance and texture of real hardwood floors, our inventory gives you the ability to enjoy the look of luxury without the major financial investment. Whether your home’s interior aesthetic is classic or contemporary, you can be confident that you’ll find the perfect style to match your design vision when you visit our showroom to start your net makeover project. Contact our staff today to find out more about our luxury vinyl flooring. We serve clients in Modesto, California, and the surrounding areas.